Crewed Charter is the right choice, if you wish to be completely relaxed and free of worries and responsibilities, whilst letting the crew do all the work. Regardless of whether you have chosen a sailing boat or a motor boat, the crewed charter is a simpler rental option, considering that a professional crew is in charge of navigation during the charter period. Therefore you can enjoy the sea and the sun as well as make arrangements with the skipper on what route to take. 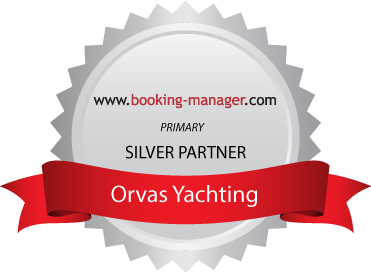 Besides the skipper, for all of you who want a relaxed vacation, free of worries with regard to cooking and tidying up the boat, Orvas Yachting offers the possibility of crew enlargement to include a hostess and a cook/chef. Crewed Sail Charter enables an entertaining and active vacation, where the captain of the ship (skipper) and (if you wish) a hostess or cook will take care of you. All our sailing boats are able to accommodate a complete crew consisting of a skipper, cook and hostess. Crewed Motor Yacht Charter Croatia is the right choice for lovers of comfort, speed and power. Experienced skippers, top chefs and friendly hostesses will make your vacation unforgettable. Gulets and mini cruisers are chartered only with a crew consisting of a captain, sailors and cooks. Crew members are all very experienced, professional and discrete and they will do their best to ensure your cruise is as pleasant as possible.